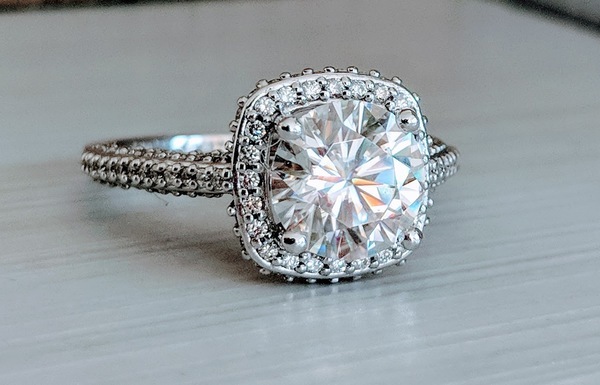 The setting has 5/8 carat of SI2 G/H quality diamonds and the center is an impressive 2 carat moissanite, crafted in solid 14k white gold. Inspired by the Tiffany Legacy style, this ring is a posh classic. Currently a size 7 and sizable.